10 Best Gaming Laptops Under $1000 - Top-Notch Ones! Now, most of the die-hard gamers out there are of the belief that “Laptop Gamers” are noobs and lack the true grit of an avid gamer. Well, it’s generally because laptops are not perceived as proper gaming machines and this idea stems out of the very nature of the laptops; they’re portable, small and slim. The assumption is that they do not pack the real power needed to run high-end games with great efficiency. Well, this article is all about breaking that taboo, as we bring the best gaming laptops under 1000 dollars which are awesome enough to run high-end, latest games with absolutely no hiccups (at least the top ones). With all this being said, it took us extensively, hours of research to ultimately find the best gaming laptops under $1000 that fits and fulfills all your gaming needs. So, let’s dive into the world of gaming laptops so that soon you can play your favorite games on your new laptop. 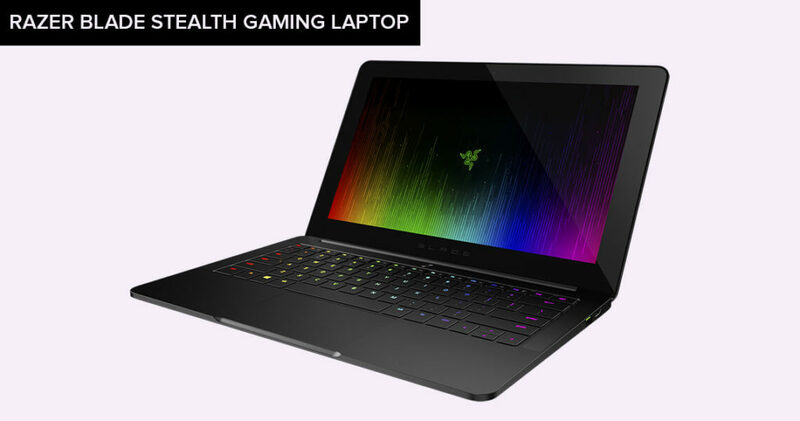 With the market full of gaming laptops, it is no wonder that gamers are confused with which model to select, because they want to get the best value for the money. Well, we are here to steer you in the right direction. Below we will discuss 10 best laptops for gaming under $1000 that have enough power to give you a great gaming experience, without making “the hole” in your wallet. We want to open our list of best gaming laptops under 1000, with the remarkable Asus Glacier. This unit has quite notable specs considering its price. 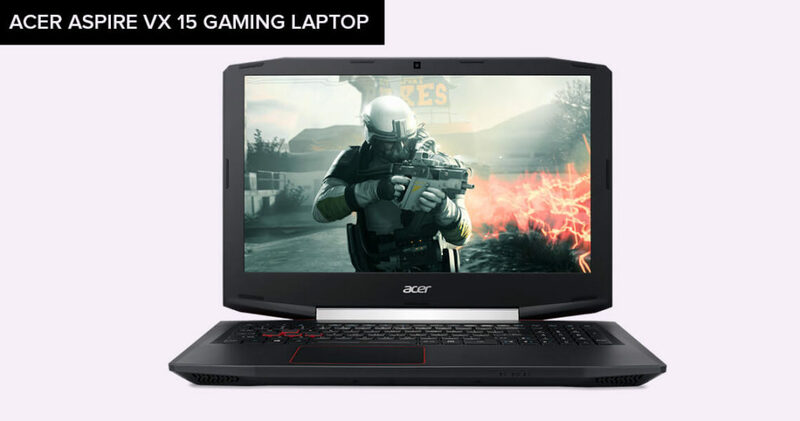 It combines a sleek design with a powerful processor and graphics card, giving you a good gaming laptop. With NVIDIA GeForce GTX 960M graphics, you can play games such as Fallout 4 and fine-tune the high-quality details for the best results. Furthermore, 8GB RAM and the latest Intel Core i7 processor make easy work of multitasking without having to wait for a couple of seconds for the game to load. The HD screen offers an exceptional viewing experience and can be moved back and forth for an ideal viewing angle. If you find the screen too small for your games, then make use of the HDMI cable and hook the unit to your desktop computer monitor. The unit comes with a dual fan cooling system, preventing overheating. However, if you want to play some more demanding games, the fans will produce much noise, trying to keep the unit cool. For those of you looking for a reliable gaming laptop that can handle serious gaming, this is the way to go. With a powerful GTX 1050 Tri graphics card, you get a much better graphics performance than with other laptops in this price range. In addition, the laptop comes with steel series keyboard, thus it is responsive and tactile. This unit offers an impressive amount of RAM so that the unit performs faster and better. Thanks to a special IPS panel, the colors will be lifelike, taking your game to a whole another level. This unit has 256GB, but you can expand the storage with 64GB. As for the downside, the unit feels a little bit flimsy. Here we have one more ASUS Gaming Laptop that falls under “best gaming laptops under 1000” category, as it works great, thanks to its amazing specs. For gamers who play demanding games in terms of graphics, such as Dark Souls 3, you will be happy to hear that this laptop can handle this game with ease, because of the NVidia GeForce GTX 960. With 512GB storage space, you can install larger games without worrying whether they will load in time. In fact, this unit features fast M.2 SSD, thus will load windows in seconds. The improved metallic chassis make this unit both sturdy and stylish. As for the downfall, the keyboard is not very tactile. However, it has red backlit keys, for turning games into a more exciting experience. No list of “Best gaming laptops under 1000” would be complete without this powerful Notebook on it. The LENOVO Y700 is designed with portability in mind so that you can game wherever you are. Winning has never been more fun than with this gaming laptop. With Windows 10, Nvidia GeForce 960M and Intel Quad-Core i7 CPUs, you won’t have any troubles with defeating your enemies. What will make winning more powerful is the red backlit keyboard. The brightness can be adjusted to your preference. The integrated thermal fans will keep things under control. What makes this unit stand out from its competitors is incredible sound quality. Dolby Home Theater and JBL speakers work together to deliver crisp and clear sound, for a more realistic gaming experience. A slight concern is that the unit can’t sit on your lap because the upper part tends to bend forward a bit. With the Acer Aspire VX 15, there is no joking. It’s powerful, futuristic design and a great performance will give you a complete control over the game. The 7th Gen Intel Core i5-7300HQ processor, NVIDIA GeForce GTX 1050 Ti graphics and HD IPS display ensures a top-notch gaming experience for those on a budget. 4GB of devoted memory for graphics only adds up to the impressive performance of this unit. With all this being said, it is clear that your commands will be promptly executed, leaving you as a winner. But, for the downside, this laptop is not suitable for demanding games, as it will get hot in a very short time. Here we have a model with an ultra-thin CNC aluminum chassis, making it ideal for portability. In addition, the aluminum chassis make sure the parts inside the unit are well protected. With the 12.5 inches QHD display, 2.5 GHz processor speed, 7th Gen Intel Core i5-7200U processor, and 8 GB RAM, the laptop is great for making presentations or playing light games. But what makes this laptop a worthy investment is its versatile connection. Thanks to special technology, this unit can connect to USB, PCI Express, Display port, and Thunderbolt devices. 7. 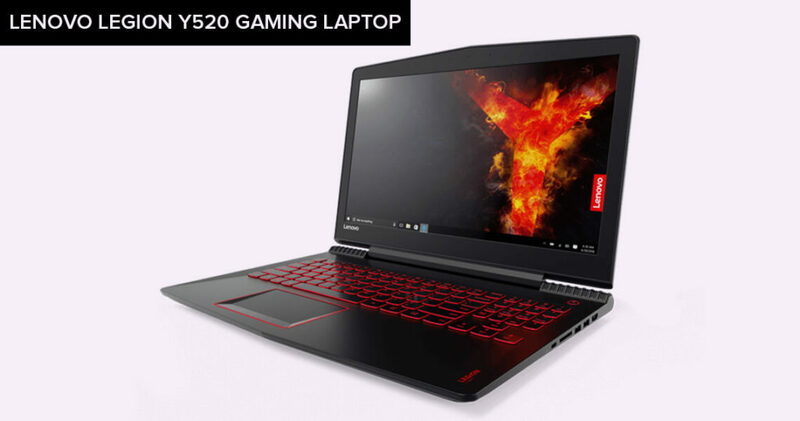 Lenovo Legion Y520 – Best Gaming Laptop Under $1000 That Doesn’t Lose It’s Cool! The Lenovo Legion Y520 is perfect for gaming on the go. With its slim and lightweight design, this unit is not difficult to carry around. This unit packs lots of power and has enough storage so that you can play most recently released games. In addition, 8GB of DDR4 RAM ensures there will be no lag in your game. With the Crimson backlight keyboard, you can play at any time of the day and night. Thermal Engineering makes sure that the laptop stays cool for hours, enabling you to enjoy games without being afraid whether the unit will preheat. On the downside, this laptop is not suitable for larger programs, because of the 256GB M.2 solid-state drive. 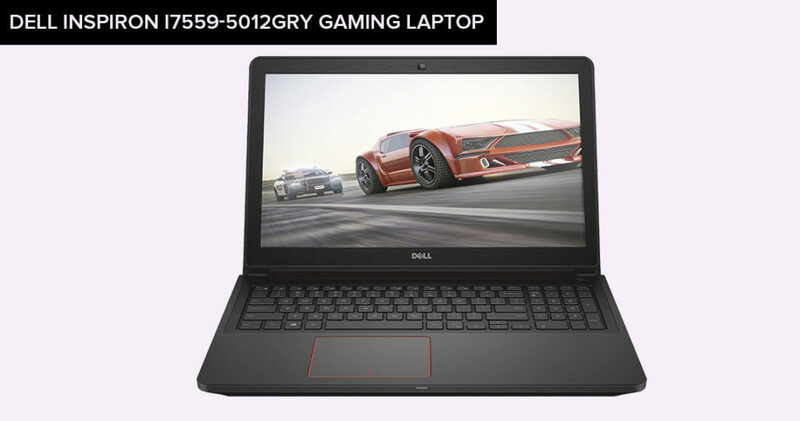 The Dell Inspiron i7559-5012GRY is one of the best budget gaming laptops, as it is very powerful. The Intel Quad-Core i7-6700HQ 2.6 GHz Processor and Nvidia GTX 6700HQ graphics card make this unit a trustworthy choice for avid gamers. In addition, this unit features touchscreen navigation, which is responsive and easy to use. You also get the chance to enjoy vivid and clear images. 16GB RAM and 4GB dedicated memory for the graphics card means that you will play games at the medium settings without stuttering. 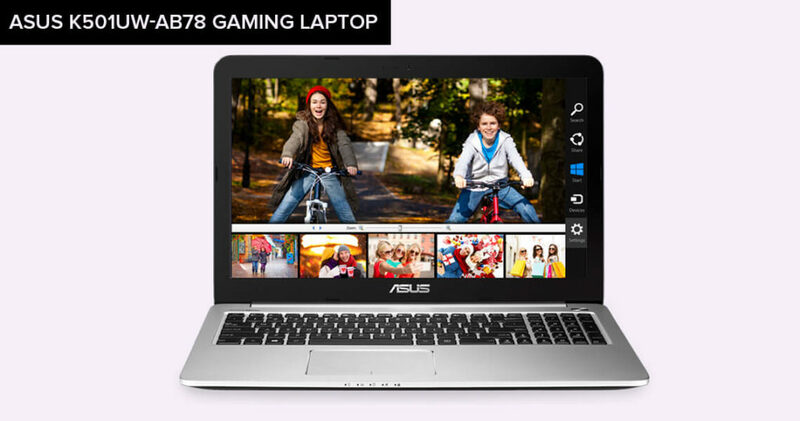 The Asus Q524UQ might look like a tablet, but its performance will sweep you off your feet. The touchscreen is responsive and you will be able to open tabs in seconds. 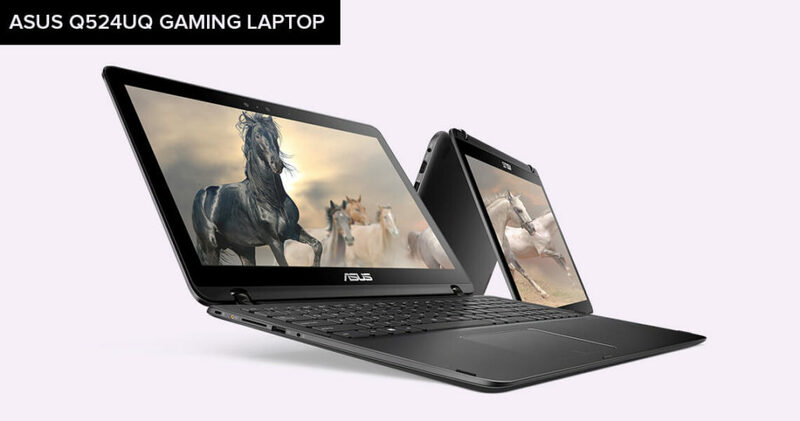 This model comes with the largest RAM – 12 GB compared to above-mentioned laptops. Thanks to that, you can lose yourself in your favorite games. What also adds up to the great performance of this unit is the NVIDIA GeForce 940MX Graphics Card, 7th Generation Intel Core i7-7500U processor, and anti-glare screen. Impressive colors and LED backlight are also great features, making this laptop stunning. As for the downfall, the unit doesn’t come with a DVD/CD drive. Even though HP is focused on delivering office laptops, this model is the exception. The Pavillon laptop will handle lighter games without effort, but it cannot cope with demanding games. Intel Core i7-7500U processor and NVIDIA GeForce graphics card is not something you might find on other HP models, making this one ideal for gamers. The 16 GB RAM and striking 1TB storage capacity allow for the fast performance and easy installation of some of your much-loved games. The battery life is great, allowing for up to 8 hours of playing per a single charge. When buying a gaming laptop under $1000, you should have realistic expectations. Sure, your laptop won’t come with all the bells and whistles you might dream of, but it is how it is. If you want it all, go with a high-end model. 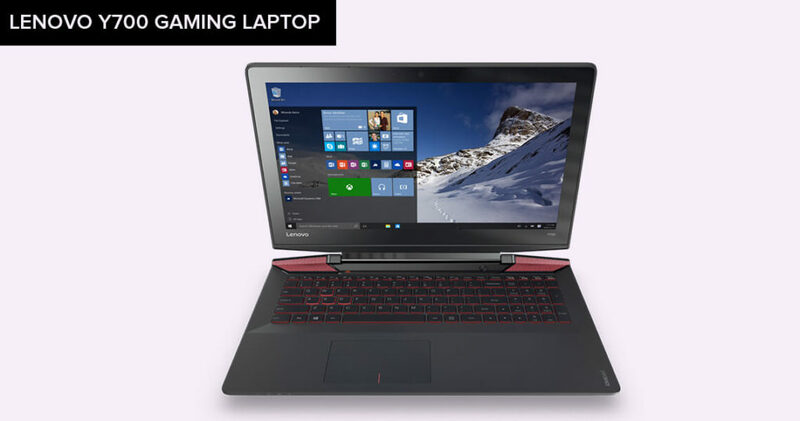 If you are ready to give up on one or two features, then you’ll be just fine with a more affordable gaming laptop. Therefore, here are some things that you should focus on when buying the best gaming laptop under 1000 dollars. Assuming that you will use your laptop ONLY for gaming, then 8GB on the RAM will be enough. However, for the gamers who also carry their laptops to their work, you will need 16GB on the RAM. Otherwise, the unit won’t be capable of multitasking. When choosing a good processor, go with Intel’s sixth generation Core i7-6700HQ 2,6GHz. This one will be able to tackle all the virtual challenges with ease, so you can’t go wrong with it. When speaking of best gaming laptops under 1000, the Nvidia GTX 960M graphics card is the best one you could get. You can choose between 2GB and 4GB of DDR5 VRAM, just keep in mind that, in this case, more is better. When it comes to choosing a screen, you can go with either 15.6″ or with a 17.3″ screen. Naturally, a smaller screen means that you won’t get an as clear picture as with a larger one. On the other hand, if you want a larger screen, it will drain the battery life much faster. Even though here we are talking about the best gaming laptops under $1000, you still have to know the exact amount of money that you can invest in a gaming laptop. There is a significant difference when buying a laptop that costs like, 400-500 dollars less. But, we want to point out that you should not buy a laptop that is less than $500, as it won’t perform well, and you will only waste your money. If you want to buy a cheaper model, for example, a $600 laptop, you would probably want to modify it with adding some better parts. However, if you are not in the mood for improvements, then just go with a model that costs from $800-$1000. The next thing to ask yourself is what games you will be playing. If for example, you want to play real-time strategy games, you want to get a reliable and powerful GPU and CPU, for creating a tremendous gaming experience. Similarly, for first-person shooter games, the emphasis should be put on a high-quality graphics hardware. So, whichever style of the game you will be playing, make sure to get the components that will enable you to game properly. As far as the storage is concerned, 256GB is ideal. It will give your laptop enough space for a proper performance, while it won’t add up too much to the price. Contrary to what most people think, picking the laptop that feels cheap and is not sturdy is so wrong. In fact, that kind of a laptop will last you much shorter (compared to a well-built model), so it is not like you will save some money. Hence, look for a model that is well-built, and features a strong casing. Some folks choosing a more affordable gaming laptop think that once they buy a certain model, that’s it. But, don’t be naïve. For example, if your laptop comes with a small screen, despair not! You can always buy a larger external monitor and solve that “problem”. The same goes for other parts of the laptop that can be upgraded, so no need to worry about that either. Summing It All Up! Ready To Buy Your Gaming Laptop With Just Under $1000? And there you have it, gamers – best gaming laptops under 1000 that will give you a possibility to play serious games while saving some money. Whichever above-mentioned model you opt for, you will appreciate its performance. Trust us, you will be impressed with how little is needed to make you happy. Whoever said that spending a bunch of money on a good gaming laptop is necessary, well, they were wrong. We hope this article helped you find your perfect match, and that you will share it with other budget-concerned gamers who will also have a good use of it. Now, enough talking, and get back to winning! I think this pretty much sums up my confusion. 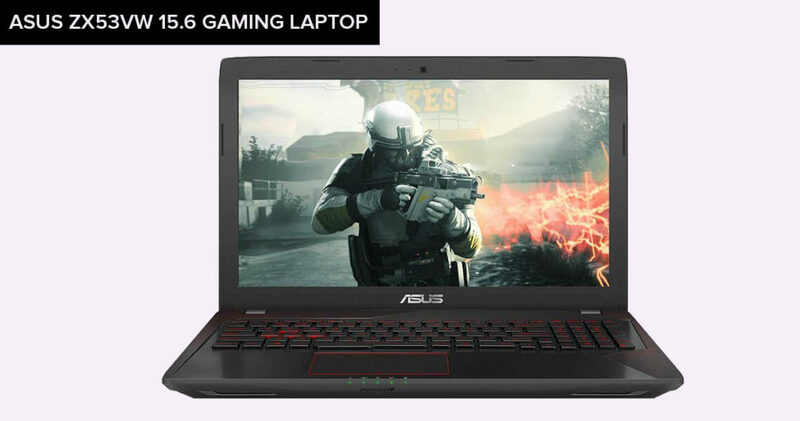 I am going for Asus Q524UQ as it ticks all the boxes in my requirement list and is the best gaming laptop under 1000 bucks. 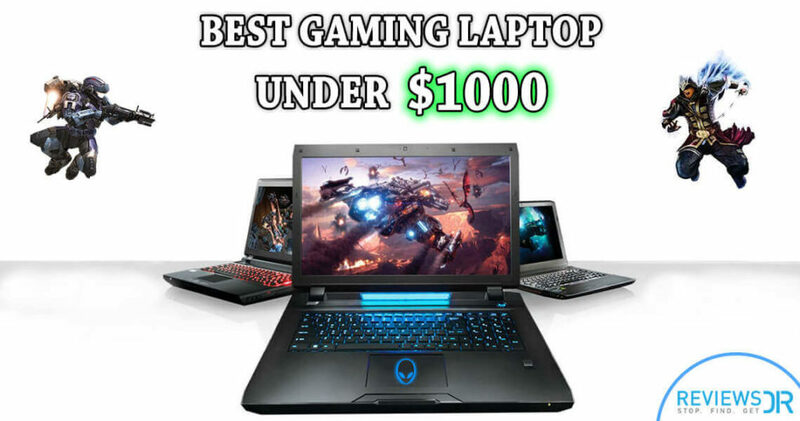 There are lots of websites on internet which are giving details about best gaming laptop under 1000$. 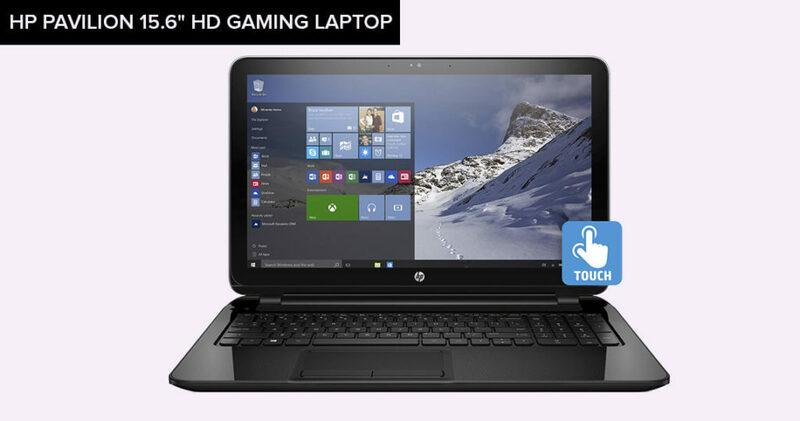 These are specially created for those people that are trying to find quality laptops which are having updated features for gaming on their laptop. 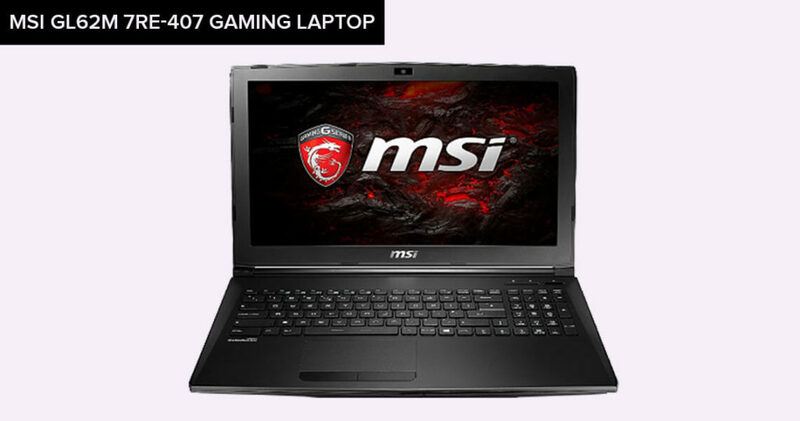 I Have preferred MSI GL62M 7RE-407 – A Gaming Laptop and found the brief detail on this website I appreciate for that sharing to purchase easily what would better for us. Thanks, Reviewsdir for this article. I was confused b/w Lenovo Y700 and ASUS K501UW-AB78 ..now I think I will go for ASUS K501UW-AB78…💜.if any further suggestions Plz tell me!